LG will unveil four new OLED TVs next week at IFA 2015 in Berlin. Among these will be 65- and 55-inch 4K high dynamic range (HDR) OLED TV sets (models 65/55EF9500 and 55EG9200) and a curved OLED TV (model 55EG9100). The EF9500 units feature the industry’s first flat 4K resolution OLED displays while the 55EG9200 and 55EG9100 measure an incredibly slim 4.8mm. 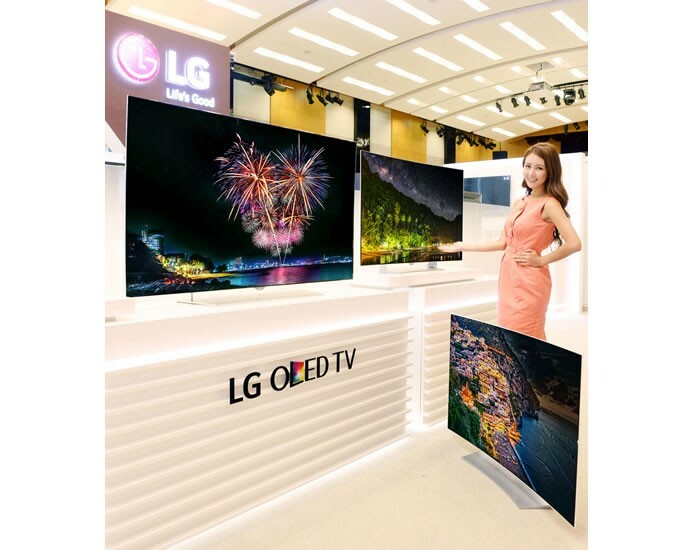 With an expanded 2015 OLED TV lineup ― which includes nine models offering a diverse range of resolutions and frame types ― LG is keen to demonstrate its commitment to making OLED’s unparalleled viewing experience available to more consumers. At their slimmest point, both the EG9200 and EG9100 are thinner than any smartphone on the market today. The shimmering transparent stand enhances the viewing experience by reducing visual clutter around the screen. And the razor-thin bezels are nearly invisible, with images seeming to drop off the edges of the display. With both curved and flat options, there’s an OLED TV suitable for all types of rooms and environments. All of LG’s 4K OLED TVs feature webOS 2.0, the latest iteration of LG’s proprietary smart TV platform. LG’s 4K OLED TVs feature speakers developed in partnership with audio leader Harman/Kardon to ensure that the flawless 4K OLED images will have sound quality second to none. 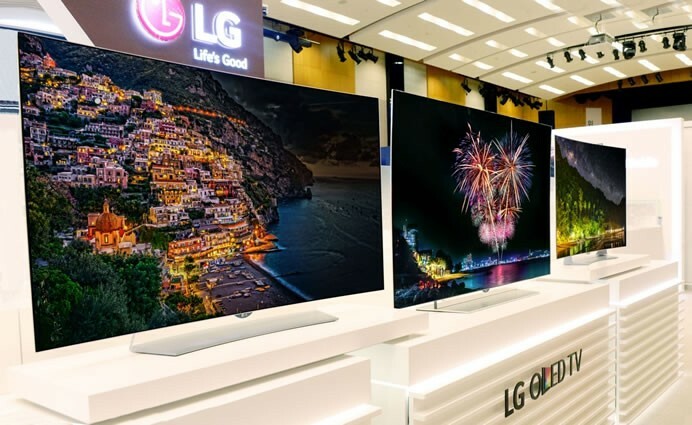 LG’s new 4K OLED TVs will be available starting at the end of August in Germany, Korea, the US and UK with the rollout to continue over the next several months in select markets. 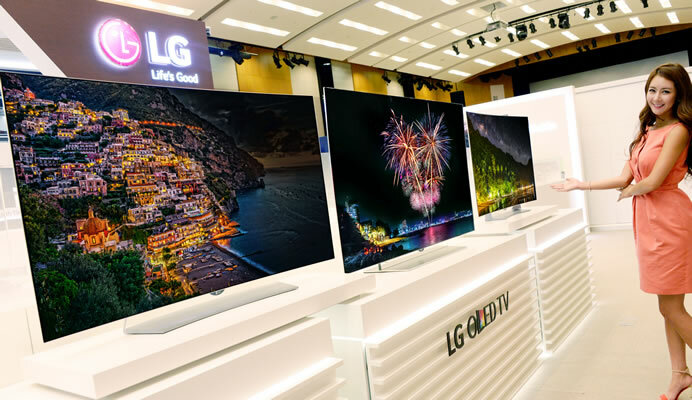 Visitors to IFA 2015 are encouraged to stop by LG’s booth in Hall 18 to see LG’s newest OLED TV models for themselves.